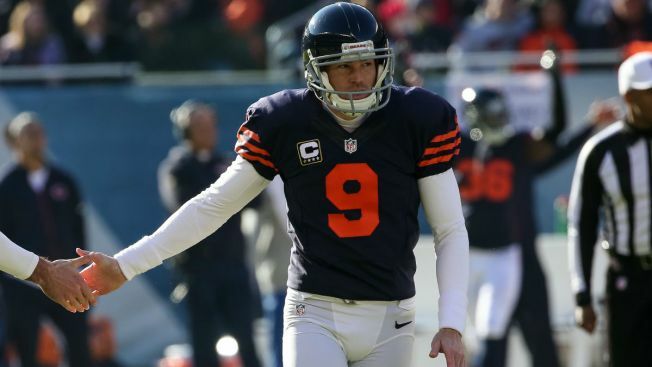 With all of the kicker drama going on with the Chicago Bears, a lot of fans are pining for the days when Robbie Gould was knocking through field goals at Soldier Field. That wasn’t the only question Gould received about playing with the Bears again. The team ended up waiving Connor Barth on Monday and signed Cairo Santos as their new kicker, but Gould is still focused on what he’s doing with San Francisco. “I enjoyed my time as a Bear but I’m pretty excited about what we have going on with the 49’ers,” he tweeted. He also insisted that there are no hard feelings despite his exit from the city, and that he’s still rooting for his former teammates to succeed. Gould has made 19 of 21 field goals with the 49’ers this season, bringing his career field goal percentage back up to 86.2 percent, ranking him among the most accurate kickers in the history of the league. He is the Bears’ all-time leader in a slew of categories, including points scored.